Where certainty should be available, in the places most sport’s host facts and truth, black and white, boxing has only grey, caveats, asterisk. It is a tired rumination. A frayed thread tugged on by good writers and bad ones. Despite the magnatism of the ‘modern problem’ narrative to this unwelcome reality, boxing has always been a cocktail of the bewitching and bewildering. In 135 years of the gloved era, since John L Sullivan fought Dominick McCafferty, a fight the ‘Boston Strong Boy’ won in the seventh round of a six round fight, and that isn’t a typing error, sport’s ultimate prize has rarely existed in the nirvana our nostalgia insists it did. Perhaps only from the aptly monikered ‘Fight of the Century’ in 1971, to a less defined point later in the decade, has the heavyweight division, as the sport’s blue ribbon weight class, been satisfactory in its matchmaking. Beneath the flag of Jack Johnson, Jack Dempsey, Joe Louis and Rocky Marciano, the title was variously undermined by the racial line, organised crime or a lack of competitive contemporaries, despite the accepted greatness of the famous four. Holmes and Tyson brought singularity and consensus back to the heavyweight storyline, but the ensuing absence of Bowe, Lewis, Tyson and Holyfield round robins, whilst in their primes at least, proved a golden opportunity missed. The Ukrainian era bares comparison with Louis’ for longevity, and some may argue dominance and the absence of natural rivalries, but his lacked the decisiveness of the Brown Bomber’s. It remained fractured throughout. Keener students will appreciate the work required not to write Wladimir’s name in the same sentence as his more illustrious predecessor. And so to now. Where last year Tyson Fury demonstrated boldness, where his rehabilitation encouraged a nothing to lose attitude, endearing him to a new army of fans. The succour his refreshing outlook and Lazarus comeback offered was feverishly gobbled up by a community of fans malnourished by the Klitschko era and frustrated by the posturing and politics of Deontay Wilder and Anthony Joshua’s negotiations in 2018. 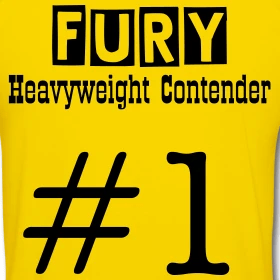 In moral victory, and the draw in the record books, Fury now has something to lose. And with a manifesto widely circulated to include the now inconvenient promise of daring do, even the Gypsy King has given way to the pragmatism of ‘difficult choices’, to use the language of the political world we are all minion to. A world, and the austerity of existence, of ideas and truth, that sport, boxing in this case, and the heroes we cheer, are meant to help us escape from. Boxing fans pay to witness something outside their own capability, to be inspired, awestruck, entranced, their pulse quickened, to reconnect with a sensory system all too frequently carried but rarely engaged. Pragmatism and the ‘insight’ of intelligence insists writers, observers and broadcasters and their wannabe counterparts pitch understanding, shape their words to appear wise to the ‘nuances’ of the business of boxing. I’ve done that. I’ve written about the wisdom of building fights, unravelled the promotional, media and sanctioning body knots to justify undesirable fights. So I’m not going to again. I’m impoverished as a boxing fan by Tyson Fury v Tom Schwarz, bewildered by Deontay Wilder facing Dominic Breazeale and my ‘needle’ barely twitched at the news Joshua would tackle Jarrell Miller. That is a Klitschkoesque parade of mediocrity. The type of fights Joe Louis was mocked for. Just make the fights that matter. It doesn’t require a degree in boxing history to know what they are. And be thrilled, be grateful there are real fights to make.